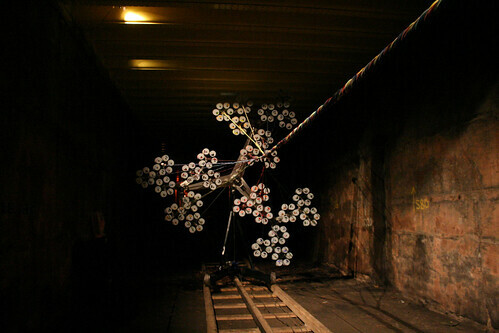 On Friday I went to visit the Kingsway Tram Tunnel in Holborn, where an artist called Conrad Shawcross in collaboration with an arts organisation called Measure have installed an intriguing site specific art installation. 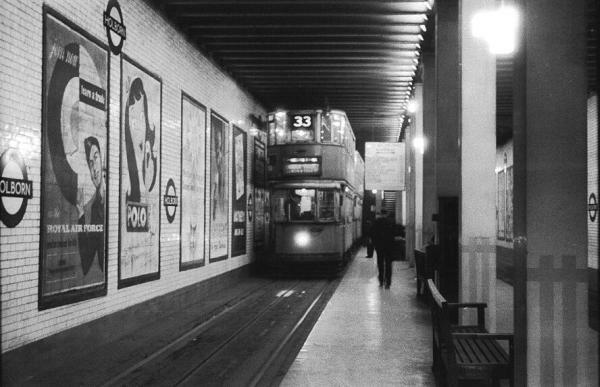 The Kingsway Tram Tunnel was built to take trams from Holborn to Embankment in the 19th century. Now part of it has been turned into a road tunnel and part has been abandoned or used as a storage space by Camden Council. You can find out more about the history of the tunnel here. Further information about Kingsway Tram Subway can also be found on the Subterranea Britannica website. They have an annual conference coming up very soon on October the 17th. Tickets are available on line and are free! Book them here. Thanks to Ian Visits on who’s excellent blog I found out about this event.